Be Remarkable – Be a Purple Cow! When it comes to changing for the better, there’s no time like the present. According to Seth Godin, the key to succeeding in an age with infinite choices, impossible-to-tell-before-you-buy quality and grossly limited time is to be remarkable. To be purple. Come up with a remarkable idea: Invent a Purple Cow! Have a Purple Cow succession strategy: Create an environment conducive to nurturing Purple Calves. Be innovative – Stop advertising and start innovating! Appeal to early adopters – They’re the sneezers who’ll propel your idea or product among the slower adoption groups in Moore’s idea diffusion curve. Invest in talent and put in the hardwork – The Purple Cow requires talent and a lot of hardwork. A Purple Cow isn’t a quickfix. Differentiate your customers – Target and reward the sneezers. Focus on the sneezers. Measure, measure, measure – from your products to interactions. Respond to the feedback by adapting and changing for the better. Here’s Seth’s takeaway in a nutshell. It’s got Agility built-in. Trust: Be authentic in what you say and do. Iterate: Iterate over the things you do. Incremental Change: Develop new ideas and implement them incrementally. Boring is risky and, according to Seth, always leads to failure. Wake up and smell the cheese! What would you do if you weren’t afraid? 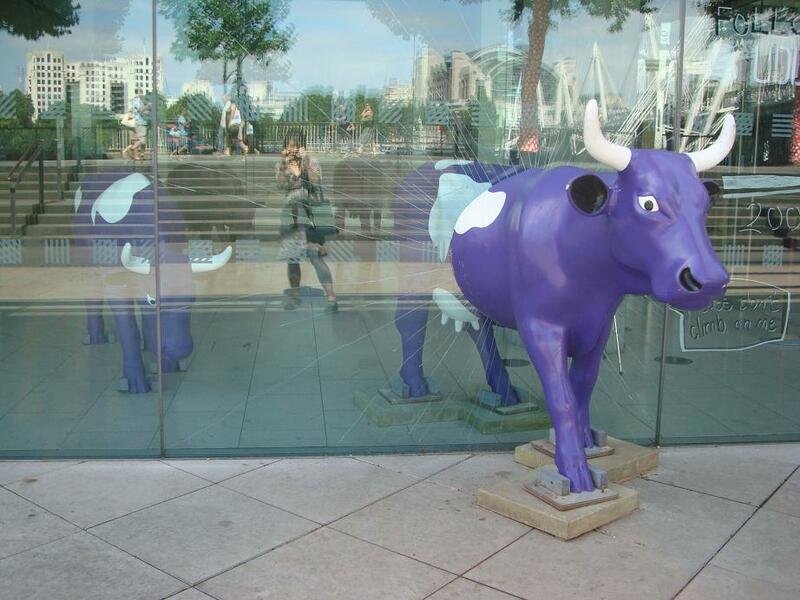 The entry 'Be Remarkable – Be a Purple Cow!' was posted on July 5th, 2009 at 8:58 am	and is filed under Courage, Esoteric Minutiae, Kaizen, Trust. You can follow any responses to this entry through the RSS 2.0 feed. You can leave a response, or trackback from your own site.